The Internet is a beautiful thing. It has made the world a smaller place, allowing people from all corners of the globe to connect, whether it’s to do business or for personal reasons. You can do your grocery shopping, read the news, find your favorite book, read reviews on new products, and buy practically everything under the sun, all from the comfort of your home or office. All you need is a computer and an Internet connection. However, just as the Internet has made life easier for you, it’s also made life easier for those who would steal from you. Identity theft has been around for a long time, except that a few centuries ago there were no such things as photo IDs or Social Security numbers. Thus, stealing someone’s identity was relatively easy, though gruesome since it often involved the death of the victim. With no way to prove a person’s identity, other than by speaking to those who knew him, it was easy for anyone to take on someone else’s identity. In the mid-20th century, Social Security cards and the introduction of credit cards made it even easier for your identity to be stolen, especially since most people carried their documents on them. All a thief had to do was steal someone’s wallet, and they could impersonate them, using their credit card to make purchases and going so far as to take out loans in their victims’ names. The very things that make the Internet so great also give identity thieves many more opportunities than before to steal someone’s identity. Personal information is constantly being handed over in various transactions performed online. People also use their emails to send out personal information, which is dangerous, because passwords can be hacked with specialized software. Worse, these hackers attack large corporations that you trust and steal password lists, giving them access to hundreds of thousands of accounts. 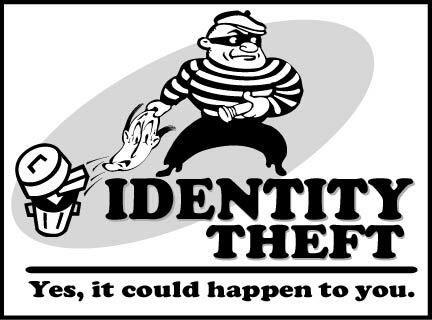 There is only so much a company or organization can do to protect you against identity theft. They can have security systems in place to make sure no one can access your personal information while it’s in their possession. Check your financial status regularly. Go over bank statements, credit card purchases, and other financial documents to identify any unauthorized transactions as quickly as possible. Technology has made it easier than ever for criminals to steal your identity. What’s worse, they often disappear without a trace and you only find out what has happened when you receive a huge bill on your credit card. However, that doesn’t mean you should disconnect and never use the Internet again. It just means that you should be vigilant and do everything you can to protect yourself. Guest Post: This article was written by financial blogger and author Chase Sagum. Follow him on Google+ for updates and other important financial content. Every week we’re hearing about another major data breach. This week it was Kickstarter. Who’s next? With all the media coverage, I hope people will be smarter with their digital security.